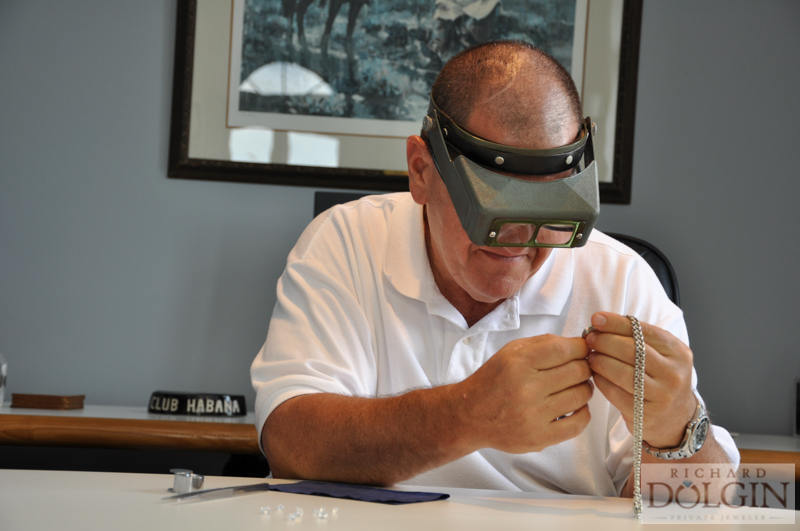 Appraisals are key part of keeping your jewelry insurance up to date. In the event of a loss the replacement or reimbursement amount determined by the insurance company is based upon the appraisal that you submit to receive your insurance. Insuring your jewelry is a very important part of responsibly owning jewelry so you can wear it without worry. 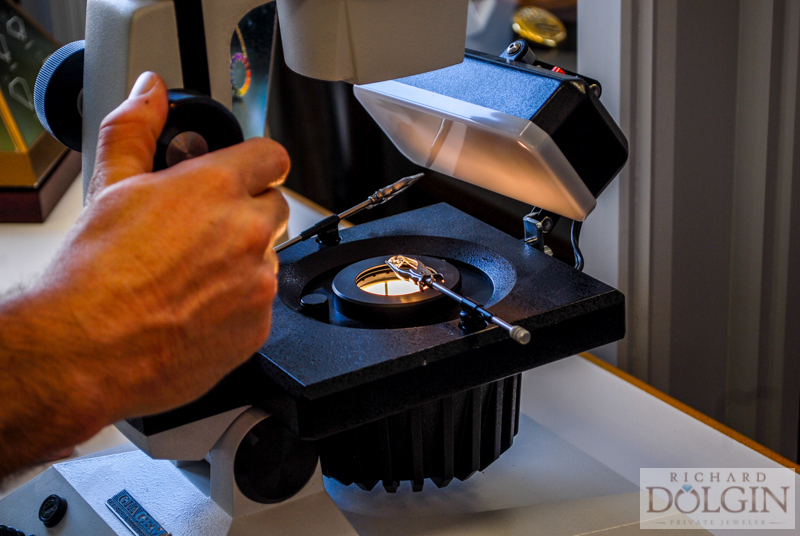 Appraisals are just one of the many valuable services we provide at Richard Dolgin Private Jeweler. Jewelry appraisals are important for insurance purposes. 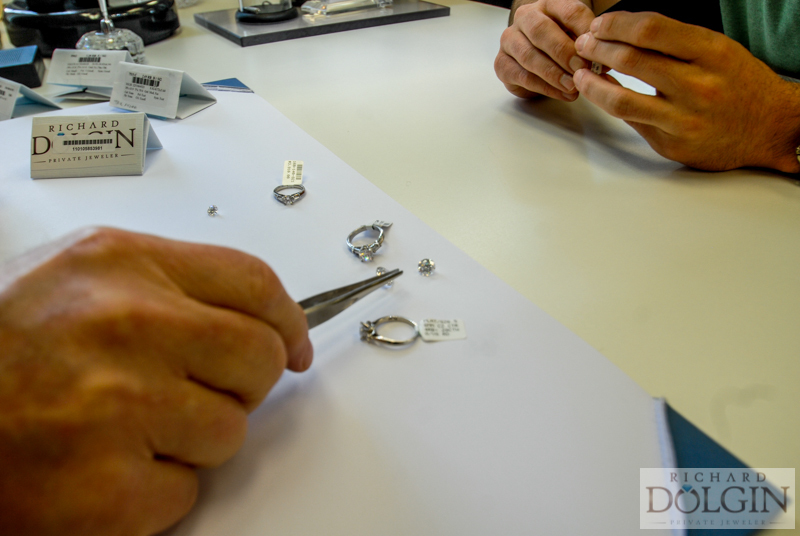 At Richard Dolgin Private Jeweler, I take time to complete them. Appraisals include a professional cleaning, a photo, write-up, and valuation. We have learned that many jewelry stores in the Kansas City do not provide an appraisal with your jewelry purchase. At Richard Dolgin Private Jeweler is it our normal policy that with every sale, we provide a detailed appraisal ready to go to your insurance company. We will also be happy to work with you and your agent to make sure your jewelry is insured properly. To some, having an appraisal seem unimportant until something happens and you need to replace a cherished valuable. Jewelry insurance is very reasonably priced and it gives the wearer peace of mind. 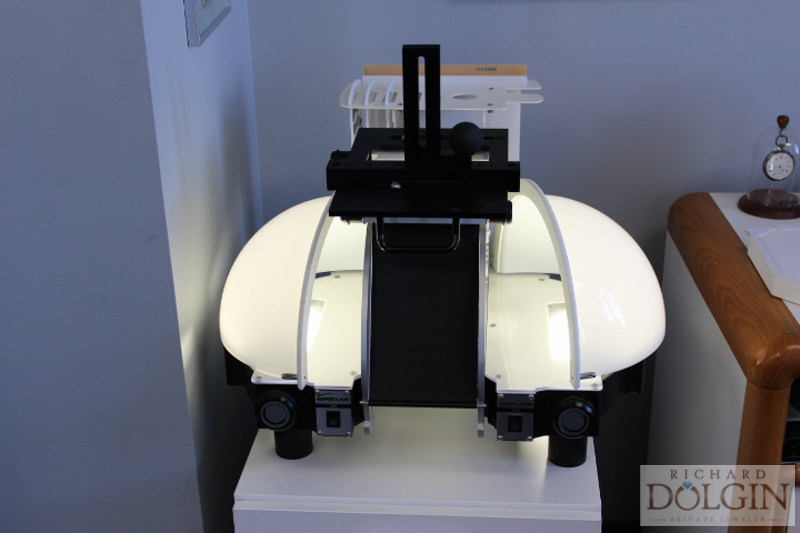 In our Overland Park studio, we have all the equipment necessary to provide you with an accurate and thorough appraisal for any fine jewelry item. 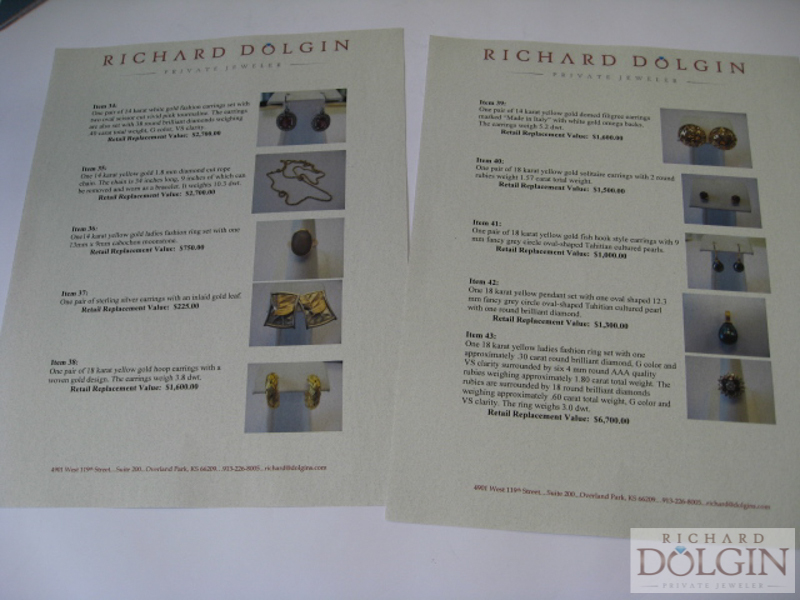 Our policy is to provide a detailed appraisal with each purchase from Richard Dolgin Private Jeweler. Come check us out for your next jewelry purchase to receive the best service in the Kansas City area. Obtaining a new appraisal for jewelry you want to sell can be very expensive and is sometimes unnecessary. You should know the role of an appraisal in the selling process. For instance, if you have the original paperwork that came with a piece of jewelry and other insurance records, that is very helpful. Using existing records in combination with an on-site evaluation allows us to determine a fair price. We conduct our own evaluations of your diamonds, gold, and precious metal before we give you an offer for your valuables. Therefore an appraisal before selling jewelry is not always mandatory. Come to our private and secure location at Richard Dolgin Private Jeweler for a professional evaluation and offer for your valuables. Since we opened Richard Dolgin Private Jeweler over two years ago, we have been constantly improving our on-premise jewelry shop. We have added equipment including a laser welder, state of the art polishing equipment, and new compressor for sand blasing and model making. We continue this process to offer you a state of the art facility to do the finest jewelry repair and custom work in the Kansas City area. Marsha, the Master Jeweler, continues to be a wonder at creating the jewelry of your dreams and restoring your existing jewelry. Her skills continue to amaze me and thrill each client. The smiles and looks of disbelief when people are picking up their jewelry fuel our passion. We will use our years of knowledge and state of the art jewelry shop to create a wonderful jewelry experience for you. Recently, I evaluated one of the largest estates of my career. Keeping your appraisal up to date is so important in today's market with all metal and diamond prices getting higher every day. So many people have stopped in regards to a piece being lost and their last appraisal was over ten years ago. With no current appraisal they having to come up with the money out of pocket because the insurance company will not cover the entire cost at today's prices. There are many different types of appraisals that people need for different circumstances involving their jewelry. We have all the best equipment and contacts to evaluate your jewelry accurately and deliver a professional documented appraisal accepted by insurance companies and estate planners. Many clients come to me with a large collection of jewelry. I have created coffee table books for the client’s enjoyment and for detailed descriptions for their insurance company. I have worked with some clients for many weeks to determine values and take professional pictures of each piece for the appraisal. No job is too large or too small and you will find our prices very reasonable for our professional work. Stop in and see me in my Overland Park jewelry studio for a private meeting to work on your appraisal needs.